Andrew Reid is the Chief Data Officer of Hanley Wood and President of Metrostudy, a Hanley Wood company. As Chief Data Officer, Reid leads the development of Hanley Wood and Metrostudy’s most important digital and database products and initiatives. His vision for the development and implementation of innovative data and digital-media products is a key component of the company’s growth. 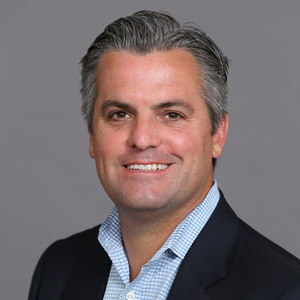 As President of Metrostudy, Reid is responsible for the business strategy, product planning, and business development for Metrostudy’s data practice, including the company’s leading proprietary data sets for housing-related activity. Reid and his team are leading the development, build-out and delivery of innovative data and information-focused products and service solutions for Metrostudy’s customers. Before joining Hanley Wood, Reid was senior vice president and global head of the Investment Banking and Corporate markets at Reuters Group PLC, where he was responsible for the group’s growth, strategy, and ongoing product development. Reid also sat on the boards of directors at Intralinks Inc., a provider of secure online data rooms and workspaces, and the Independent Research Network LLC, which provides research services to current and prospective NASDAQ issuers. Reid is a graduate of the University of California, Berkeley, with a B.S. in Economics.